Existing thiazolidinedione (TZD) drugs for diabetes have severe side effects. The aim of this study is to develop alternative peroxisome proliferator-activated receptor γ (PPARγ) ligands that retain the benefits in improving insulin resistance but with reduced side effects. We used AlphaScreen assay to screen for new PPARγ ligands from compound libraries. In vitro biochemical binding affinity assay and in vivo cell-based reporter assay were used to validate ionomycin as a partial ligand of PPARγ. A mouse model of diabetes was used to assess the effects of ionomycin in improving insulin sensitivity. Crystal structure of PPARγ complexed with ionomycin revealed the unique binding mode of ionomycin, which elucidated the molecular mechanisms allowing the discrimination of ionomycin from TZDs. We found that the antibiotic ionomycin is a novel modulating ligand for PPARγ. Both the transactivation and binding activity of PPARγ by ionomycin can be blocked by PPARγ specific antagonist GW9662. Ionomycin interacts with the PPARγ ligand-binding domain in a unique binding mode with properties and epitopes distinct from those of TZD drugs. Ionomycin treatment effectively improved hyperglycaemia and insulin resistance, but had reduced side effects compared with TZDs in the mouse model of diabetes. In addition, ionomycin effectively blocked the phosphorylation of PPARγ at Ser273 by cyclin-dependent kinase 5 both in vitro and in vivo. Our studies suggest that ionomycin may represent a unique template for designing novel PPARγ ligands with advantages over current TZD drugs. The online version of this article (doi: 10.1007/s00125-012-2777-9) contains peer-reviewed but unedited supplementary material, which is available to authorised users. W. Zheng and X. Feng contributed equally to this study. Nuclear receptors (NRs) are crucial transcriptional factors that control gene expression by binding to specific response elements of their target genes [1, 2]. Small molecules that act as ligands for NRs can enhance or reduce the transcriptional activity of NRs by recruiting coactivators or corepressors. Peroxisome proliferator-activated receptors (PPARs) α, β and γ play a critical role in the physiological and pathological regulation of various biological activities, including metabolism, adipocyte differentiation, bone morphogenesis, inflammation and atherosclerosis [3, 4, 5, 6]. The most prominent role of PPARγ is its contribution in improving insulin sensitivity upon binding to specific ligands [7, 8, 9]. Among PPARγ ligands, thiazolidinedione (TZDs) can alter the expression of PPARγ target genes, which are necessary for proper insulin sensitivity and have an impact on peripheral tissue insulin sensitivity, so that they are called insulin sensitisers. However, TZDs also display severe adverse effects, giving rise to fluid retention, weight gain, liver toxicity and cardiovascular disease, which are prevalent among diabetic patients [10, 11, 12]. Therefore, it is imperative to develop alternative PPARγ ligands that retain the benefits in improving insulin resistance but that have reduced side effects. As a key structural feature of all NRs, the ligand-binding pocket of the PPARγ ligand-binding domain (LBD) includes an activation function 2 motif that displays great flexibility in response to diverse ligands, resulting in the transcriptional regulation of downstream PPARγ target genes [13, 14, 15]. These genes in turn regulate many metabolic pathways involved in glucose homeostasis and insulin sensitivity. Interestingly, some selective PPARγ modulators (SPPARMs) with partial or no agonism in transcriptional activity, have shown similar glucose-lowering effects to rosiglitazone but with reduced side effects, suggesting that PPARγ transcriptional activity may not be directly associated with insulin sensitivity [16, 17, 18]. 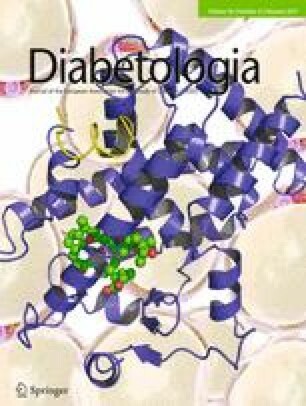 Recently, the phosphorylation of PPARγ by cyclin-dependent kinase 5 (CDK5) was revealed as a critical link between PPARγ ligands and their glucose-lowering effects, thus providing a new avenue for the mechanistic understanding of PPARγ ligands in improving insulin sensitivity, and further uncovering a drug design strategy targeting PPARγ [19, 20]. Independent of transcriptional agonism, the CDK5-mediated phosphorylation of PPARγ at serine 273 plays a key role in insulin resistance and obesity. Obesity induced CDK5 cofactor p35 to truncate into p25, which can stimulate activation of CDK5 to phosphorylate PPARγ at Ser273, whereas the ligand binding of PPARγ reduced the binding of PPARγ to NR corepressor (NCoR) and CDK5, resulting in the decreased phosphorylation of PPARγ , which correlates well with the glucose-lowering effects. Here, we sought to find alternative PPARγ ligands that retain the benefits in improving insulin resistance but with reduced side effects, and to further provide new drug design strategies for future pharmacological agents targeting PPARγ. Human PPARγ LBD (residues 206–477) was expressed as an N-terminal 6×His fusion protein from the expression vector pET24a (Novagen, Darmstadt, Germany). BL21 (DE3) cells transformed with the expression plasmid were grown in LB broth (Luria Broth Base) at 25°C to an optical density at 600 nm (OD600) of ∼1.0 and induced with 0.1 mmol/l isopropyl 1-thio-β-d-galactopyranoside (IPTG) at 16°C. The PPARγ LBD was purified with a 5 ml HiTrap HP column chelated with NiSO4, followed by a Q-Sepharose column (GE Healthcare, Pittsburgh, PA, USA). To prepare the protein–ligand complex, a fivefold excess of the ionomycin free acid (Sigma, St Louis, MO, USA) was added to the purified protein, followed by filter concentration to 10 mg/ml. The PPARγ LBD was complexed with twofold of steroid receptor coactivator 1 (SRC1) peptide (SLTERHKI LHRLLQEGSP) before filter concentration. LanthaScreen TR-FRET PPARγ competitive binding assay was performed according to the manufacturer’s protocol (Invitrogen, Carlsbad, CA, USA). A serial concentration of ionomycin or rosiglitazone (Sigma) (dissolved in DMSO and diluted in TR-FRET assay buffer, final concentration of DMSO is 1% vol./vol.) were put in a 384-well opti-plate (Perkin Elmer, Norwalk, CT, USA). A mixture of 5 nmol/l glutathione S-transferase (GST)-fused PPARγ LBD, 5 nmol/l Tb-GST-antibody and 5 nmol/l Fluormone Pan-PPAR Green were added to each sample well to a total volume of 40 μl. DMSO at 1% (vol./vol.) final concentration was used as a no-ligand control. The assay was performed in triplicate and the mixture was incubated for 2 h in the dark before analysis. The FRET signal was measured by excitation at 340 nm and emission at 520 nm for fluorescein and 495 nm for terbium. The fold change over DMSO was calculated by the ratio of 520 nm/495 nm. Graphs were plotted as fold change of FRET signal for each compound over DMSO-only control. Crystals of PPARγ/ionomycin complex were grown at room temperature in hanging drops containing 1.0 μl of the above protein–ligand solutions and 1.0 μl of well buffer containing 0.2 mol/l sodium acetate, 5% (vol./vol.) ethylene glycol and 20% (wt/vol.) PEG 3350. The crystals were directly flash frozen in liquid nitrogen for data collection. The observed reflections were reduced, merged and scaled with DENZO and SCALEPACK in the HKL2000 package . The structures were determined by molecular replacement in the CCP4 suite (www.ccp4.ac.uk). Manual model building was carried out with Coot , followed by REFMAC refinement in the CCP4 suite. The binding of the various coregulator peptide motifs to PPARγ LBD in response to ligands was determined by AlphaScreen assays using a hexahistidine detection kit from Perkin Elmer as described previously . The experiments were conducted with approximately 20–40 nmol/l receptor LBD and 20 nmol/l biotinylated coregulator peptides in the presence of 5 μg/ml donor and acceptor beads in a buffer containing 50 mmol/l 3-(N-morpholino)propanesulfonic acid (MOPS), 50 mmol/l NaF, 0.05 mmol/l N-cyclohexyl-3-aminopropanesulfonic acid (CHAPS) and 0.1 mg/ml bovine serum albumin, all adjusted to pH 7.4. The peptides with an N-terminal biotinylation are listed in electronic supplementary material (ESM) Table 1. Cos7 cells (ATCC, Manassas, VA, USA) were maintained in DMEM containing 10% (wt/vol.) fetal bovine serum and were transiently transfected using Lipofectamine 2000 (Invitrogen) . All mutant PPARγ plasmids were created using the Quick-Change site-directed mutagenesis kit (Stratagene, La Jolla, CA, USA). Twenty-four-well plates were plated 24 h before transfection (5 × 104 cells per well). For Gal4-driven reporter assays, the cells were transfected with 200 ng Gal4-LBDs of various NRs and 200 ng of pG5Luc reporter (Promega, Madison, WI, USA). For native promoter reporter assays, the cells were cotransfected with plasmids encoding full-length PPARγ and peroxisome proliferator hormone response element (PPRE). Ligands were added 5 h after transfection. Cells were harvested 24 h later for the luciferase assays. Luciferase activity was normalised to renilla activity cotransfected as an internal control. In vitro CDK assay was performed as previously described . Briefly, 1 μg of purified His-tagged PPARγ LBD (residues 206–477) was incubated with 50 ng active CDK5/p25 (Invitrogen) in assay buffer (25 mmol/l Tris pH 7.5, 10 mmol/l MgCl2, 5 mmol/l β-glycerophosphate, 0.1 mmol/l Na3VO4, 2 mmol/l dithiothreitol [DTT]) (Cell Signaling Technology, Danvers, MA, USA) containing 100 μmol/l ATP in a 50-μl reaction volume for 30 min at room temperature. PPARγ ligands were pre-incubated with PPARγ LBD protein for 30 min before the assay was performed. Phosphorylation of PPARγ LBD was analysed by western blotting with anti-CDK substrate antibody (Cell Signaling Technology). White adipose tissues from mice treated with compounds were homogenised in RIPA buffer (50 mmol/l Tris pH 7.5, 150 mmol/l NaCl, 1% (vol./vol.) NP-40, 0.5% (wt/vol.) sodium deoxycholate, 0.1% (wt/vol.) SDS with protease and phosphatase inhibitors). For western blotting, a rabbit polyclonal phospho-specific antibody against PPARγ Ser273 was produced by AbMax Biotechnology (Shanghai, China), with a synthetic phosphopeptide as previously described . Total tissue lysates were analysed with anti-PPARγ antibody (Santa Cruz Biotechnology, Santa Cruz, CA, USA). Animal experiments were performed according to procedures approved by the Institutional Animal Use and Care Committee of Xiamen University, China. Male mice (db/db and KK-Ay mice; Hua Fukang, Beijing, China), 8–10 weeks old, were acclimatised for 7 days under standard conditions before experiments. Mice were fed with a high-fat diet (D12492; Research Diets, New Brunswick, NJ, USA) and 5 mg/kg of rosiglitazone or 3 mg/kg of ionomycin were administered by i.p. injection once daily with vehicle (40% (wt/vol.) of 2-hydroxypropyl-β-cyclodextrin [HBC]) (Sigma) for 14 days. Mice were killed after 6 h of fasting, and serum samples were collected to measure the glucose and insulin levels. Mice treated with drugs were fasted for 6 h with free access to water. For the glucose tolerance test (GTT), 1 g/kg of glucose was injected intraperitoneally and blood glucose was measured with the Accu-Check Performa (Roche Applied Science, Mannheim, Germany ) at 0, 30, 60, 90 and 120 min. For the insulin tolerance test (ITT), 1 U/kg of recombinant human insulin (Novolin 30R; Novo Nordisk, Bagsvaerd, Denmark) was injected intraperitoneally, and blood glucose was measured at 0, 30, 60, 90 and 120 min after insulin injection. Serum glucose levels were determined by the Glucose Oxidase Method (Applygen, Beijing, China) and serum insulin levels were determined by ELISA using an ultra-sensitive mouse insulin kit (Crystal Chem, Downers Grove, IL, USA). Total RNA was isolated from epididymal fat pads using a Tissue RNA kit (Omega Bio-Tek, Norcross, GA, USA). The RNA was reverse-transcribed using the reverse transcription kit (Takara, Dalian, China). Quantitative PCR reactions were performed with SYBR green fluorescent dye using a CFXTM96 real-time system (Bio-Rad, Hercules, CA, USA). Relative mRNA expression was determined by the ΔΔCt method (www.bio-rad.com/amplification/) normalised to actin levels. The sequences of primers are listed in ESM Table 2. To search for novel ligands for PPARγ, we used PPARγ LBD as a bait to screen chemical libraries based on AlphaScreen biochemical assay, which determines the efficacy of small molecules in influencing binding affinity of PPARγ with coregulator peptides [25, 26, 27]. Surprisingly an antibiotic, ionomycin, was unravelled as a positive PPARγ activator from the Enzo Rare Natural Products Library, which contains 82 purified compounds from natural sources. Notably, the chemical structure of ionomycin shows a molecular scaffold distinct from that of TZDs (Fig. 1a). To confirm the specificity of ionomycin in activating PPARγ, Cos7 cells were cotransfected with a Gal4-driven reporter together with plasmids encoding various NR LBDs fused with the Gal4 DNA-binding domain. In agreement with the initial AlphaScreen biochemical assay, treatment with ionomycin significantly induced the transcriptional activity of PPARγ, to a lesser extent than rosiglitazone, but with no impact on a variety of other NRs tested (Fig. 1b). LanthaScreen TR-FRET competitive binding assay showed that ionomycin had a half-maximum inhibitory concentration (IC50) of about 500 nmol/l (Fig. 1c) to PPARγ, which is tenfold less than that of rosiglitazone but similar to that of other TZDs, such as pioglitazone, and many SPPARMs [17, 18]. Our results indicate that ionomycin selectively recognises and interacts with PPARγ LBD among various NRs. To further examine the biochemical mechanism of PPARγ activation by ionomycin, we determined the ability of ionomycin to promote the recruitment of coregulator motifs by PPARγ using AlphaScreen biochemical assay. As shown in Fig. 2a, ionomycin enhanced the interaction of PPARγ with various coactivator LXXLL motifs from the family of SRCs (SRC1-2, SRC2-3 and SRC3-3), Trap220 and PGC-1α, but decreased the binding of a corepressor motif from NCoR (NCoR-2) with PPARγ. Ionomycin displayed a weaker effect than rosiglitazone in recruiting coactivators, suggesting a partial agonist nature, which is consistent with the results from reporter assays. Similar to rosiglitazone, ionomycin also promoted the interaction of PPARγ with coactivator motifs in a concentration-dependent manner, with tenfold less potency than rosiglitazone (Fig. 2b). GW9662 is an antagonist for PPARγ that covalently occupies the same binding pocket as agonists and irreversibly antagonises their binding to PPARγ . As shown in Fig. 3 a–d, results from AlphaScreen indicate that GW9662 blocks the coactivator recruitment of PPARγ induced by both rosiglitazone and ionomycin. Further, ionomycin-mediated transcriptional activity of PPARγ was also inhibited by the PPARγ-specific antagonist GW9662 in the cell-based reporter assays (Fig. 3e), reaffirming that the effect of ionomycin on PPARγ functions through direct binding to this receptor. Since ionomycin displays typical features of a partial agonist of PPARγ, we were curious to know whether ionomycin had effects on diabetes like those of other PPARγ ligands or modulators. We used db/db mice to investigate the effect of ionomycin in vivo. Neither ionomycin nor rosiglitazone had a significant effect on food intake (Fig. 4a). Similar to rosiglitazone, ionomycin significantly reduced the levels of serum glucose and insulin (Fig. 4 c, d). To further investigate whether ionomycin could improve glucose tolerance and insulin sensitivity, we performed a GTT and an ITT. Both ionomycin- and rosiglitazone-injected mice showed improved insulin sensitivity and glucose tolerance compared with vehicle-treated controls (Fig. 4 e, f). Remarkably, the body weight of ionomycin-treated db/db mice did not change compared with vehicle control, while the rosiglitazone-treated mice showed significant weight gain (Fig. 4b), which is consistent with the reported side effects associated with TZD drugs [29, 30]. Further, the weight of epididymal fat pads from ionomycin-treated mice was similar to that of vehicle controls, significantly less than that of rosiglitazone-treated mice (Fig. 4g), which is consistent with the results in 3T3-L1 cells (ESM Fig. 1). In addition, we also detected the expression of genes in adipose tissues, including PPARγ target genes Ap2 and Cd36, and genes involved in adipogenesis, such as CCAAT-enhancer binding protein (C/ebpα [also known as Cebpa]) gene, glucose transporter (Glut4), sterol regulatory element-binding protein-1c gene (Srebp-1c [also known as Srebf1]), acetyl-CoA carboxylase (Acc [also known as Acaca]), fatty acid synthase (Fasn) gene and stearoyl-CoA desaturase-1 (Scd1). As expected, ionomycin did not induce adipogenic genes compared with control (Fig. 4h). In contrast, the mRNA levels of most of these genes were significantly increased in adipose tissues of rosiglitazone-treated mice, which is consistent with the published results [29, 30]. Moreover, genes encoding adiponectin (Adipoq) and adipsin (Cfd), dysregulated in obesity, were also elevated by the ionomycin treatment (Fig. 4h). To further test the effects of ionomycin in other diabetic models, we performed similar experiments in KK-Ay mice. All the results are consistent with those from db/db mice (ESM Fig. 2), indicating that ionomycin functions as an insulin sensitiser in mice with various genetic backgrounds. To detect the effects of ionomycin on fluid retention, the mRNA levels of genes such as epithelial sodium channel γ (EnaCγ [also known as Scnn1g]), aquaporin-2 (Aqp2) and serum/glucocorticoid regulated kinase 1 (Sgk1) were analysed in compound-treated mouse renal inner medullary collecting duct (mIMCD-3) cells. Unlike rosiglitazone, ionomycin treatment elicited either significant suppression or no induction of the mRNA levels of genes involved in fluid accumulation in mIMCD-3 cells (ESM Fig. 3). To assess the hepatotoxicity of ionomycin, we analysed several specific aspects related to hepatotoxicity. As shown in ESM Fig. 4a, treatment of db/db mice with ionomycin downregulated inflammation-related genes, such as Cxcl10 and Ifnγ (also known as Ifng), which is beneficial for liver protection. Further, the ratio of liver/body weight was significantly reduced by the ionomycin treatment (ESM Fig. 4b). Consistently, the triacylglycerol level in the liver tissue was also significantly lower in ionomycin-treated mice than in those treated by rosiglitazone (ESM Fig. 4c). These findings were further confirmed by the regulation of genes involved in fat synthesis (ESM Fig. 4d). Moreover, similar to rosiglitazone, ionomycin had a minimal effect on the viability of HepG2 and mIMCD-3 cells as determined by MTT assay (ESM Fig. 4e). These results suggest that ionomycin has reduced side effects for some physiological variables compared with TZDs. Choi et al have shown that PPARγ ligands (including agonists such as rosiglitazone and SPPARMs such as MRL24) blocked the obesity-linked phosphorylation of PPARγ by CDK5 at Ser273, and this inhibition of phosphorylation proved to be tightly correlated with the glucose-lowering effects of the PPARγ ligands in obese mice and diabetic patients . As such, we performed an in vitro CDK kinase assay to test whether ionomycin has this biochemical function. Interestingly, although having lower PPARγ transcriptional activity, ionomycin effectively blocked the CDK5-mediated phosphorylation of PPARγ with similar potency to rosiglitazone (Fig. 5a). Consistently, the data from the mammalian two hybrid assay indicated that ionomycin and rosiglitazone caused a similar reduction in binding of NCoR to PPARγ (ESM Fig. 5), which is critical for the PPARγ phosphorylation by CDK5 . To test whether ionomycin blocked the phosphorylation of PPARγ at Ser273 in vivo, db/db mice were injected intraperitoneally with vehicle, rosiglitazone or ionomycin once a day for 14 days. Consistent with the data in vitro, both rosiglitazone and ionomycin caused a similar reduction in PPARγ phosphorylation at Ser273 in white adipose tissues (Fig. 5b, c), suggesting that ionomycin may exert an anti-diabetic effect through modulating CDK5-dependent PPARγ phosphorylation. As a partial agonist of PPARγ with a weaker transcriptional activity, ionomycin has a distinct scaffold with a much larger size than that of the full agonist rosiglitazone (Fig. 1a), thus we wanted to elucidate the structural basis for the recognition of this unique ligand by PPARγ. To determine the binding characteristics of ionomycin to PPARγ, we solved the crystal structure of PPARγ complexed with ionomycin and the SRC1-2 LXXLL motif at 2.5 Å resolution (ESM Table 3). The structure reveals that the ionomycin-bound PPARγ LBD adopts a classical structure of a three-layer antiparallel α-helical sandwich, which is largely conserved among NR LBDs (Fig. 6a) [31, 32]. Inside the ligand-binding pocket of PPARγ, the existence of ionomycin was apparent from the highly revealing electron density map (Fig. 6b). Alignment of structures of PPARγ/ionomycin and PPARγ/rosiglitazone revealed that both ligand-bound PPARγ LBDs aligned well with ligands occupying the similar binding site in the PPARγ pocket (Fig. 6c, d). Although the global structure of ionomycin-bound PPARγ is conserved to that of rosiglitazone, the binding of ionomycin triggers serial changes in the ligand-binding pocket; backbone shifts and conformational changes of the side chains induced by ionomycin contribute to this (Fig. 7). In response to the larger size of ionomycin, the backbones of helix 12 and helix 7 were both shifted outward to make extra space for ionomycin in comparison with rosiglitazone-bound PPARγ LBD (Fig. 7a, b). In addition, ionomycin also induced conformational changes of the side chains of several PPARγ pocket residues, such as F282 in helix 3, L330 in helix 5, F360 and F363 in helix 6, to accommodate the binding of ionomycin, which has a distinct chemical structure from that of rosiglitazone (Fig. 7c–f). Compared with other ligands of PPARγ, the conformational changes of backbones and side chains induced by ionomycin indicate that PPARγ has a great flexibility to adapt to the binding of diverse ligands. PPARγ agonists, like rosiglitazone, display a common binding mode in which the ligand forms direct contacts, such as specific hydrogen bonds with the residues on helix 12, thereby stabilising the helix 12, which is essential for a canonical active conformation of PPARγ LBD . For example, rosiglitazone forms a hydrogen bond with Y473 on helix 12 through its nitrogen atom on the TZD group (Fig. 8a). However, the binding of ionomycin makes this critical Y473 residue shift outside, resulting in the loss of contacts of this residue with the ligand (Fig. 8a). In addition, ionomycin has hydrophobic groups at the corresponding position of the TZD group of rosiglitazone, making it impossible to initiate any hydrogen bond with helix 12 (Fig. 6d). All these factors may contribute to the lower degree of stabilisation of helix 12, which provides a structural support for ionomycin as a partial agonist. Accordingly, the ionomycin-mediated PPARγ transcriptional activity was substantially enhanced by the Y473F mutation while rosiglitazone-mediated activity was diminished (Fig. 8f). To further validate the differential roles of pocket residues in ionomycin binding and PPARγ activation, we superimposed the structure of PPARγ/ionomycin with that of PPARγ/rosiglitazone and scrutinised the PPARγ residues that contacted with different groups of ionomycin and rosiglitazone. The hydrophobic side chain of I326 makes hydrophobic interactions with the hydrophobic groups of both ionomycin and rosiglitazone (Fig. 8b). Consequently, the I326R mutation disrupting these interactions substantially reduced PPARγ transcriptional activity mediated by both ionomycin and rosiglitazone (Fig. 8f). The S289W mutation was designed to reduce the size of the PPARγ pocket, thereby preventing the binding of both ionomycin and rosiglitazone (Fig. 8c). Similar to I326R, the reduced PPARγ transcriptional activity was observed in S289W for both ionomycin and rosiglitazone (Fig. 8f). The C285A mutation was designed to increase the size of the PPARγ pocket to favour ligand binding (Fig. 8c) and L333R was designed to make the residue form hydrogen bonds with both ionomycin and rosiglitazone (Fig. 8e). Contrary to I326R and S289W, C285A and L333R substantially increased the PPARγ transcriptional activity mediated by both ionomycin and rosiglitazone (Fig. 8f). These results support a critical conserved mechanism involving the size and hydrophobic nature of the PPARγ pocket in ligand recognition. As shown in Fig. 8d, the carboxylate oxygen from ionomycin forms indirect hydrogen bonds with R288 of PPARγ while rosiglitazone has no contacts with this residue. Mutation of R288 to hydrophobic leucine diminished PPARγ activation by ionomycin but had no effect on PPARγ activation by rosiglitazone (Fig. 8f), further highlighting the differential roles of PPARγ residues in recognising ionomycin and rosiglitazone. Ionomycin is an antibiotic produced by Streptomyces conglobatus, which has been characterised as a calcium ionophore . In this study, we found by high-throughput screening that ionomycin is a modulating ligand for PPARγ, thereby also uncovering a novel signalling route for this antibiotic drug. The results from both biochemical AlphaScreen assay and cell-based reporter assay showed that ionomycin is a partial agonist for PPARγ due to its much lesser capability in recruiting coactivators and activating the transcriptional activity of PPARγ compared with the typical full agonist rosiglitazone. In our study, ionomycin displayed powerful anti-diabetic effects similar to TZDs; its potency correlates very well with its ability to block CDK5-mediated phosphorylation of PPARγ, supporting the critical role of PPARγ phosphorylation by CDK5 in improving insulin resistance by PPARγ ligands. Evidence from both in vitro and in vivo studies demonstrates that ionomycin has several key features that distinguish it from the full agonist rosiglitazone. First, the scaffold of ionomycin is distinct from TZDs, with a molecular mass almost twice that of rosiglitazone, and thus represents an alternative drug design approach targeting PPARγ. Further, ionomycin takes a unique U-shape conformation within the PPARγ pocket, while SPPARMs have either one branch like MCC 555 or two branches like GW0072 (ESM Fig. 6a) [17, 35]. The specific interactions between ionomycin and the critical LBD residues of PPARγ provide critical perspectives regarding the recognition of ionomycin by PPARγ. Our structural observations indicate the loss of interactions between ionomycin and several residues on PPARγ, including one critical epitope on the activation function 2 (AF-2) helix that is used by both natural PPARγ ligands and synthetic TZDs [36, 37]; thereby, ionomycin-induced PPARγ transcriptional activity is affected. In addition, SPPARMs, such as amorfrutin 1 and GW0072, contact helix 3 and β sheets of PPARγ using their tails [35, 38], while ionomycin has no presence at the corresponding position. Instead, ionomycin has wider contacts with other regions of PPARγ including helix 7 and helix 10 (ESM Fig. 6b). Taken together, the unique characteristics of ionomycin may represent new pharmacophores that can be optimised for selectively targeting PPARγ. More importantly, ionomycin had little adipogenic activity. A significant consequence of the transcriptional activation of PPARγ is induction of adipocyte differentiation. PPARγ agonists, including rosiglitazone, have adipogenic potency and this is the major factor leading to their adverse effects. Evidence from both 3T3-L1 cells and mouse models indicates that the adipogenic activity of ionomycin is notably weaker than that of TZDs, suggesting less adverse effects. However, more detailed clinically applied assays still need to be performed on liver toxicity and other physiological variables in vivo, such as packed cell volume for body fluid retention, to obtain a comprehensive view on the potential side effects of ionomycin. Nevertheless, our observations provide new drug design strategies for future pharmacological agents targeting PPARγ for increasing insulin sensitivity, yet without side effects such as weight gain caused by PPARγ agonism. Our structural analysis has further revealed strategies to optimise the ionomycin structure targeting PPARγ for potential therapeutic usage. For example, the chemical groups such as the carboxyl group at the ionomycin tail are essential for ion binding, which is critical for the antibiotic action of ionomycin in interfering with bacterial membrane permeability. As such, chemical groups on other PPARγ ligands and selective PPARγ modulators may be considered for replacing the corresponding ionomycin groups based on the structural analysis (ESM Fig. 6). Overall, the optimisation of the ionomycin structure to retain its ability to interact with PPARγ but reduce its ion-binding ability may yield promising therapeutic agents targeting PPARγ. Coordinates and structure factors for the PPARγ/ionomycin complex are available in the Protein Data Bank (www.rcsb.org/) under ID code 4FGY. We thank the staff at BL17U of the Shanghai Synchrotron Radiation Source for assistance in data collection. This work was supported by grants from the National Basic Research Program of China (973 Programme: 2012CB910104 to Y. Li), the National Natural Science Foundation of China (31070646 and 31270776 to Y. Li), the Fundamental Research Funds for the Central Universities (2010121083 to L. Jin, 2011121029 to Y. Li) and the Programme of Introducing Talents of Discipline to Universities (B12001). WZ and XF researched the data and drafted the article. LJ and YL designed and researched the data, and wrote the article. LQ, ZP, RW, SL and DH researched data and revised the article. All authors approved the final version to be published.